These aren't the screens you're goblin for. 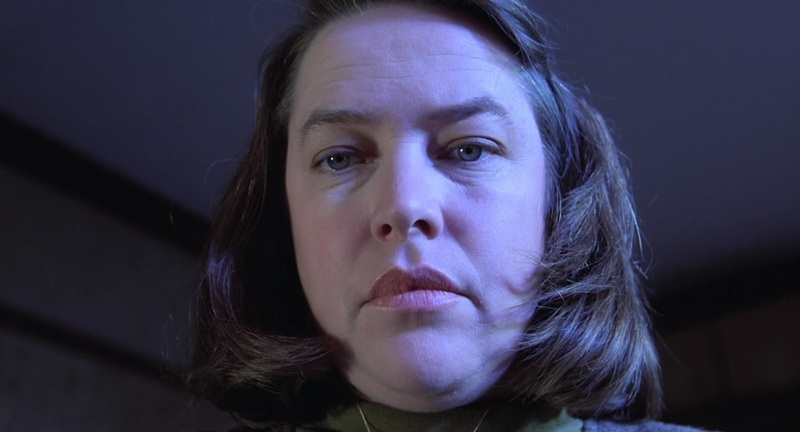 Misery turns 25 this year; the perfect flimsy pretext for reviewing this cockadoodie classic. 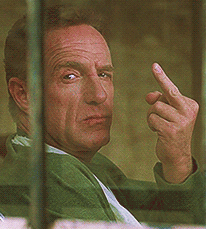 Because it’s Stephen King, the story is about an author, named Paul Sheldon (James Caan). After crashing his car in a blizzard, Sheldon is rescued by his “number one fan” Annie Wilkes (Kathy Bates), who takes him back to her remote farm house. Fortunately, she’s a nurse; unfortunately, she’s the maddest nurse since Nursie from Blackadder II. Bates’ performance (Kathy, not Norman; spooky coincidence) is unforgettable, making Annie Wilkes one of the finest villains in horror history. Caan also gives an interesting turn, often appearing more perplexed than afraid; understandable given Annie’s mercurial temper. The interplay between the two fizzes with psychological terror, and it’s a joy to watch. There’s also strong support from Richard Farnsworth, Lauren Bacall and a pig. Meanwhile, Marc Shaiman’s music seems to tell a terrifying story underneath the self-contained drama, which surprises, delights and disturbs at every turn. Rob Reiner expertly directs the snowbound suspense, with a brilliant balance of comedy and horror. Previously he had directed Stephen King’s Stand By Me, and together they make a winning combination. There are so many great Stephen King adaptations to choose from (The Shining, Carrie, The Running Man…), but this is up there with the best of them. As sharply effective now as it was in 1990, Misery is a masterclass in Hitchcockian suspense. A self-referential take on the artistic strain between populism and credibility, it’s a real rollercoaster of a movie; fun, scary and (as Annie Wilkes would say) oogy.